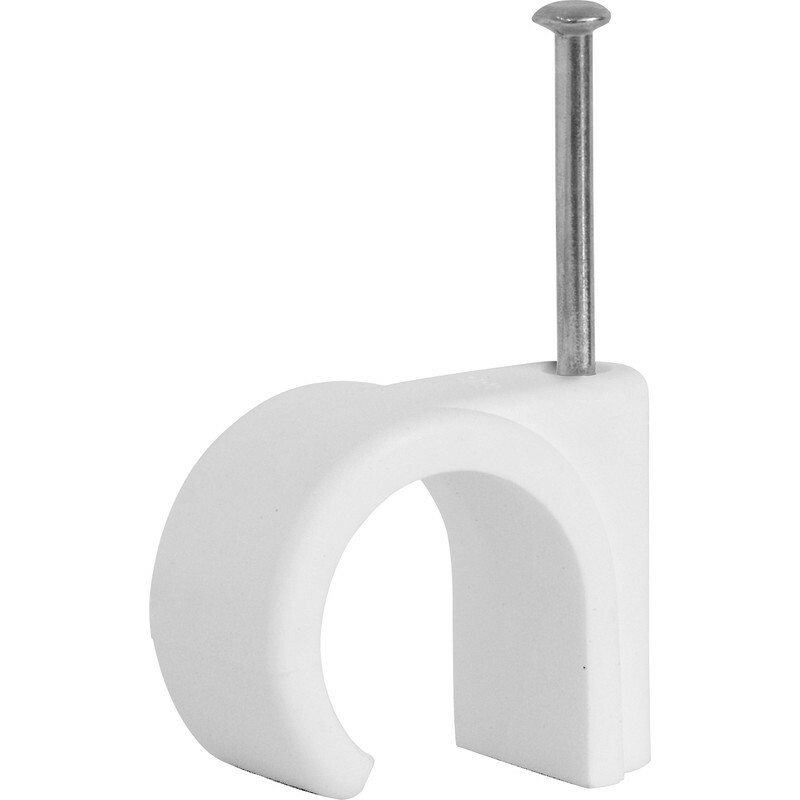 Cable Clip Round White 8mm (100 Pack) is rated 4.3 out of 5 by 27. Rated 1 out of 5 by Andybar from Product changed The clips have changed brands so my order was split 50/50. The clips I used had a thick masonry nail and were really good now the other clips come with really thin nails that are only good for wood. Rated 5 out of 5 by Bcivil from Good fit for cat 6 cable I really wanted slightly smaller clips but theses turned out very well for my cat 6 cable that is about 6mm diameter. Rated 1 out of 5 by I hate running from Oversize Nail Totally agree with previous review: the nail is massive. Very hard to nail into walls and wood. This is the first product from Toolstation that has not been great. Rated 3 out of 5 by Dave72 from Oversive nail I bought these to reclip a BT telephone cable stapled to a doorway architrave. The clips are exactly the correct size but the nails are so large they split the wood. I have had to remove them and cover the damage with cable trunking. Rated 1 out of 5 by stearman65 from Hopeless on MDF skirtings! The nails are too thick & the points not tapered enough. Tried with three clips using a hammer, eventually had to resort to pre drilling the holes. Rated 4 out of 5 by Bobbydog1 from Firm grip on aerial cable Good size for aerial cable and clip nicely into wood back board. Haven't used on brick or mortar course so cannot comment on nail hardness.